Raw yet elegant and luminous dancefloor compositions from London's Kit Grill, making his debut with the Vase label after a few outings for GETME! and Primary Colours Records. 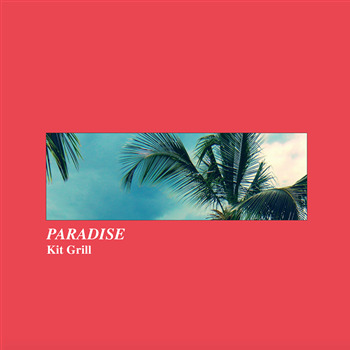 Grill's 'Paradise' is defined by bright synthetic colour and rugged machine percussion rubbed into sweetly insistent, pop-wise grooves cascading lovely vibes from the psychedelic bump of 'High Definition' to the spiralling cosmic 2-step of 'Virtual' and the gleaming, late '80's chassis and decadent chuff-on of 'Dream'.